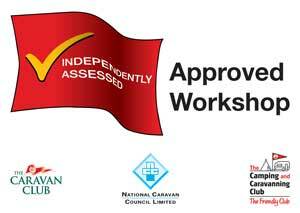 At Premier Motorhomes, we pride ourselves in bringing you the latest models from the top motorhome manufacturers. Making sure we get our hands on the new designs for you to enjoy, we have a huge range of Hymer motorhomes in stock and ready to buy. Whether you’re a couple looking to enjoy your retirement to the fullest, or you want a family motorhome to spend quality time with the kids, there’s a Hymer motorhome out there for you. So, without further ado, take a look at our 2018 Hymer motorhomes that just waiting to come home with you. With the latest innovation from Hymer, this 2018 Hymer B-SL model is the epitome of luxury when it comes to your mobile home. Its modern interior and full list of amenities mean that you can travel in style, enjoying your home comforts even when you’re on the road. It has 2 berths with a twin single bed layout, along with a long list of specifications that ensure your Hymer motorhome is as welcoming as can be. Based on a Fiat chassis, it has a beautiful exterior with a very contemporary style. The fully loaded 2018 Hymer ML-I 630 motorhome has a Mercedes chassis and features 4 berths; perfect for going away as a group. With an automatic gearbox and a full spec of helpful features, this motorhome has both an overcab drop down bed layout and an island bed in the rear. With extra storage under the bed, alloy wheels, electric heated front screen and electric entrance steps, this is great choice for your future travels. With modern upholstery and ambient lighting, the Hymer ML-I is a contemporary motorhome for the whole family to enjoy. 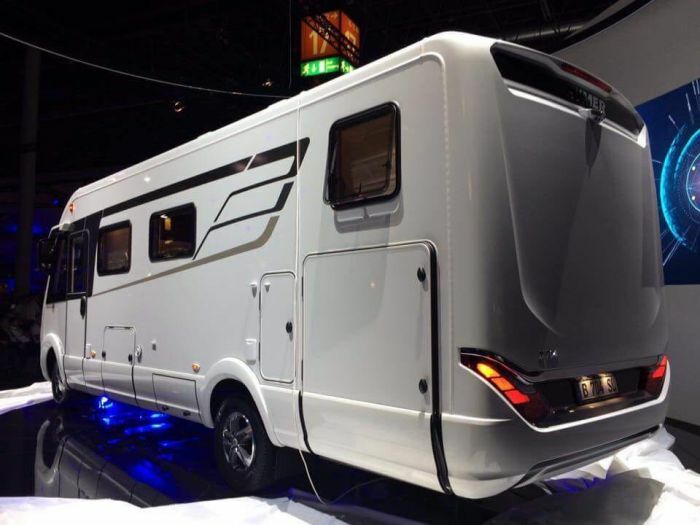 The Hymer B-DL motorhome, otherwise known as the Dynamic Line, has been developed to be lightweight and weights under 3.5 tons. Without compromising on comfort and design, the Hymer B-DL motorhome is a premium integrated model with an innovative appearance. We have one ready to buy with 4 berths, and benefits from a 2018 upgrade in regards to the engine, furniture and comfort packages. 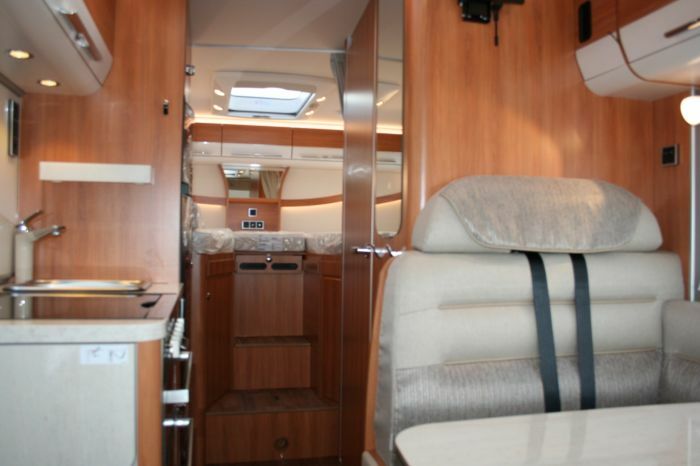 It is a spacious motorhome, with two different bed layouts to suit those travelling with you.